Community Supported Agriculture (CSA) is a unique model of local agriculture. Its roots reach back to Japan where a group of women concerned about the increase in food imports and the corresponding decrease in the farming population initiated a direct growing and purchasing relationship between their group and local farms. This arrangement, called "teikei" in Japanese, translates to "putting the farmers' face on food". This concept traveled to Europe and in 1985, was adapted for the U.S. and given the name "Community Supported Agriculture" at Indian Line Farm, Massachusetts. It is estimated that there are now over 1200 CSA farms across North America. Community Supported Agriculture is a partnership between a farm and a community of supporters. CSA members purchase a "share" of the crops that are grown. In return, the farm provides a healthy supply of produce. Over the years, CSA's have taken many different forms from exclusively "subscription" programs, in which produce is boxed at the farm and transported to distribution sites to on farm distributions that involve farm members harvesting all of the produce. Every Wednesday afternoon from June until October farm members are invited to "Working Wednesday" weeding parties out in the field. These are indeed "parties" as we get to know each other in new ways by sharing in a common task out in the beauty of the land. By contributing to the farm through various farm tasks, farm members are not just consumers of produce from the farm but active participants in caring for the farm that sustains their health. Education is also an important element of Caretaker Farm's CSA program. We offer various workshops for CSA members throughout the season. Past workshop topics included food preservation (canning and lacto-fermentation classes), sustainable living discussion courses, and movie nights on the farm. Community members “share in the harvest” by paying a membership fee up front to cover annual expenses. In return, from early June through the end of October members collect a weekly free-choice share of fresh, organically grown produce and additional pick-your-own crops. Shareholders are partners with the farmer in growing food for the community. One of the most distinctive features of a Caretaker Farm CSA Share is our Free-Choice distribution system. When members come to the farm to fill their CSA bags, they choose exactly what they want in their bag from the selection of each week's harvested crops. Whether a member prefers particular vegetables over others, wants to utilize bag space efficiently by choosing only those crops that fit snuggly together, or decides to fill an entire bag with just carrots, farm share members are welcome to pick exactly those crops that they most enjoy eating. We have found that our farm members truly appreciate the opportunity to choose their own vegetables, which is why we remain dedicated to the Free-Choice distribution system. Weekly choice of freshly harvested vegetables (June-End of October). Our 2018 harvests included 7 varieties of head lettuces, 7 varieties of baby lettuce, 5 varieties of Asian greens, bok choy, leaf broccoli, spinach, spring turnips, 2 varieties of spring radishes, red, golden, and chioggia beets, orange and purple carrots, white/red/yellow onions, leeks, yellow squash, middle eastern squash, zucchini squash, green peppers, sweet peppers, 4 varieties of hot peppers, pie pumpkins, delicata squash, butternut squash, garlic, celeriac, parsnips, rutabagas, daikon radish, cucumbers, slicing tomatoes, kohlrabi, collards, yellow/red/white potatoes, sweet potatoes, melons, Napa cabbage, red cabbage, green cabbage, curly kale, lacinato kale, garlic, and others. Pick-Your-Own annual herbs (basil, dill, cilantro, parsley), 12 perennial herbs, 5 mints, over 20 varieties of annual flowers, raspberries, snap peas, wax beans, green beans, edemame, cherry tomatoes, saladette tomatoes, husk cherries, tomatillos, canning tomatoes, brussels sprouts, and others. Opportunities to buy our freshly baked breads and pastries, Non-GMO free-range eggs, and meats. Access to the farm for recreational use. Invitations to our farm workshops, events, and seasonal celebrations. Weekly newsletter with recipes, farm news, and distribution updates. Our share structure was developed by a group of farm members to best represent the most equitable method for dividing up the costs of production. Since U-Pick is a significant portion of the overall share, those with more adults will be taking more overall produce from the farm compared to a single adult. The total cost of membership is split between two components a share fee and membership fee to account for how much produce is distributed to each share. 1. Share Fee. This allows members to receive a bag full of produce from our distribution area that has been harvested for them. There is a weekly choice of freshly harvested vegetables for Summer CSA members from June-October. 2. Membership Fee. Our membership differentiates Caretaker Farm from a supermarket. 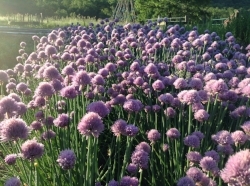 The membership fee lets members take advantage of our U-Pick herbs, flowers, and vegetables. It also includes opportunities to buy freshly baked breads and pastries from the farm’s bakery, farm honey, free-range eggs, and meats when available. It permits access to the farm for recreational use any day but Sunday, and the opportunity to participate in educational programs and farm celebrations. Finally, it allows members to know their farmer and the land that grows their produce. Everyone, regardless of their financial situation, should have access to locally grown, high quality produce and the opportunity to know the land that grows their produce. We have priced our shares so that they are below what you would pay in a grocery store or farmer’s market. Every year some farm members have inquired about the possibility of donating money towards a share for a family in need, and there are some families who require assistance to pay for a share. We have therefore created a fund that will allow you to help subsidize a share for another family, or request assistance for your own family (up to 20% of the total fee). We are able to assist according to the money that has been donated to the fund. There are spaces on the written membership form to indicate your donation or your need, and options on the online membership forms to indicate your donation. June through the end of October. Members collect their vegetables once a week on either Tuesdays or Fridays between 1:00 PM and 6:00 PM; or on Saturdays between 8:00AM and NOON. HELPING: Every adult member is requested to work two hours per season to help on distribution days, work in the fields, or assist with farm events. If you have challenges with physical labor, we will work together to find another way that you can contribute your work hours (i.e. finding recipes for the newsletters). May I Share a Share? Every adult in a household must be a member of the farm regardless of their affection for vegetables or the farm. Likewise, people from two or more households may all join the farm together and take turns picking up the weekly share of food, provided they have all paid the Membership fee. They may alternate pick-up weeks or come together in one car, but the share must be collected at one time and divided off the farm. A membership fee is required of all adults in a household. We warmly welcome all members to enjoy the farm any day but Sunday. If you are making more than one trip to the farm in a week, we ask that your second trip not be during distribution hours due to limited parking space at the farm.